It sounds like there's no The X-Files without Gillian Anderson after all. Ever since Anderson confirmed she would be leaving the sci-fi drama behind for good after The X-Files Season 11, there were questions about whether the show could continue without her. 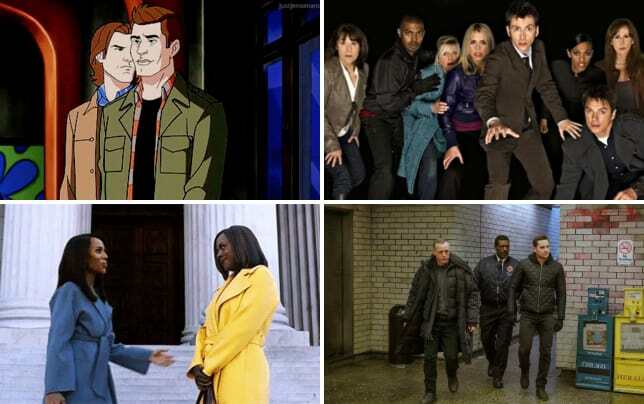 “It’s been a great show for the network, but there are no plans to do another season at the moment,” said Fox co-chairman and CEO Gary Newman in a conference call with reporters on Monday morning. While that's not an outright cancellation, it makes sense. The X-Files Season 11 averaged 3.7 million viewers and a 1.0 rating among adults 18-49. The figures are not great, but demo tally was down almost 70 percent vs. The X-Files Season 10. It's not exactly a good trajectory for an aging series. If the ratings dropped that much between seasons, they will likely drop much further if the show returns in some form without Gillian Anderson. The chances of the show returning again are slim to none unless Anderson decides that she's back on board, but don't expect to hear the show mentioned by Fox again until that point. "There are lots of things that I want to do in my life and career," Anderson said in January at the Television Critics Association winter press tour. Would you watch the show without Gillian Anderson if Fox ever decided to revive it? 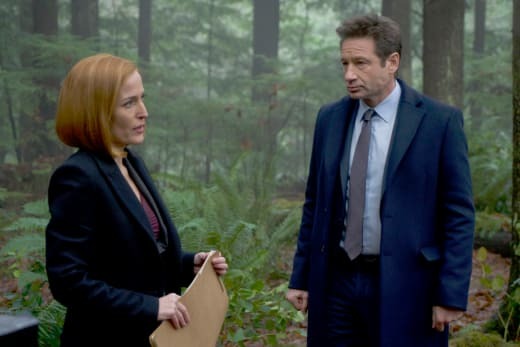 Remember you can watch The X-Files online right here via TV Fanatic.